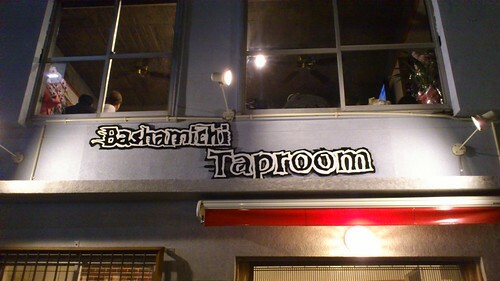 A few photos from the opening day at Bashamichi Taproom. Went to the opening day at the new Baird Bashamichi Taproom this afternoon after seeing it mentioned on Drinking My Brains. Good food, good beer, and a great atmosphere. Will probably go there again at some point. This entry was posted on January 15, 2011 at 23:56 and is filed under Food, Japan. You can follow any responses to this entry through the RSS 2.0 feed. You can leave a response, or trackback from your own site. Yup, very nice and uncramped place where the patrons are not forced into unwanted intimacy. Although the UI on the toilet door could do with some improvement.